Wilf Kasmire is surprised to hear from his ex-girlfriend, Dawn Jenkins—and even more puzzled when she asks if she can stay with him “for a while.” The note of worry in her tone has Wilf agreeing—against his better judgment, but also wondering if she’s in trouble. Her stay with Wilf is cut short when she disappears without a note—and Wilf realizes he was right to be concerned. 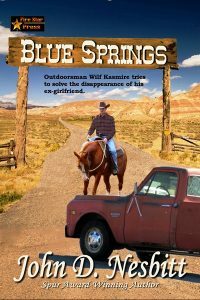 When another young woman’s body is found nearby their small Wyoming town, Wilf knows he’s got to assure himself of Dawn’s safety. But as time goes by, the clues he finds tell him otherwise. Now, someone’s after Wilf, too, and he’s determined to discover if the would-be murderer is the same man who has abducted Dawn.